It's a dream for all superhero fans to be as fast as Flash or as powerful as Hulk. What if it's not just a dream and you can just make things happen just as the fictional heroes do? And what if those days are not very far? Chris Middleton, a robotics journalist and expert, says that by 2070, our bodies could be swapped out with robotic parts. He says that we're not too far away from those times where anyone can buy upgraded body parts that will provide them superhuman powers. If you think his predictions are too far-fetched, you might not have heard about 'biohackers' who are already upgrading their bodies with implants such as chips like one of the first biohackers -- Kevin Warwick, an engineer and the Vice-Chancellor at Coventry University had an RFID (Radio-Frequency Identification) chip implanted into his arm. It helped him control devices such as lights by simply snapping his fingers. Another Utah-based biohacker named Rich Lee has six implants -- one in each ear serving as headphones, an NFC (Near Field Communication) chip in his hand for controlling devices, two magnets in two fingertips for feeling magnetic fields, and a bio-therm chip in his forearm for monitoring temperature, Daily Mail reported. "At some point, 50 or 100 years in the future, might a whole human body become replaceable, editable or upgradable? I wouldn't bet against it," Middleton told the Daily Star. "We can already see that some technologies encourage people - unfortunately - to behave more like machines." Middleton also noted that machines are becoming more like humans. He gave examples of Siri and Alexa and felt that machines have started to control humans. We are getting used to being told what to do by technologies like Google Maps that direct us to 'turn left, turn right and so on'. Answering whether wearable devices will be a part of a journey towards incorporating technology into ourselves, Middleton said: "I think in the long run, that's inevitable." He believes that in the meantime, we should all treasure being human. The expert's prediction came just a month after ex-Microsoft experts claimed that within just 20 years, humans will have a 'robot second self'. 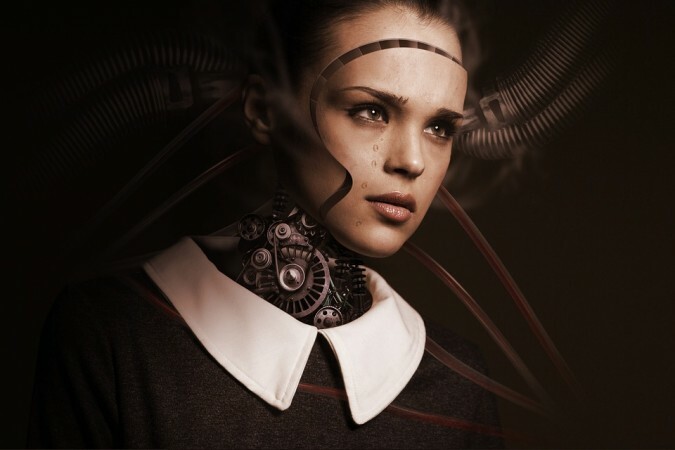 "I write about robotics and AI in the real world, because these technologies raise important questions about what sort of society we want, or don't want," said Middleton. "In the long run, many human beings may simply reject these technologies."